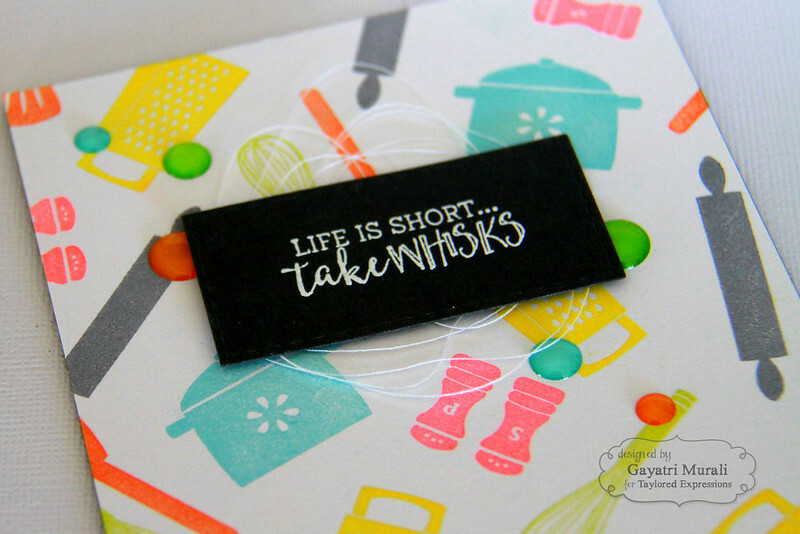 Life is Short Take Whisks! 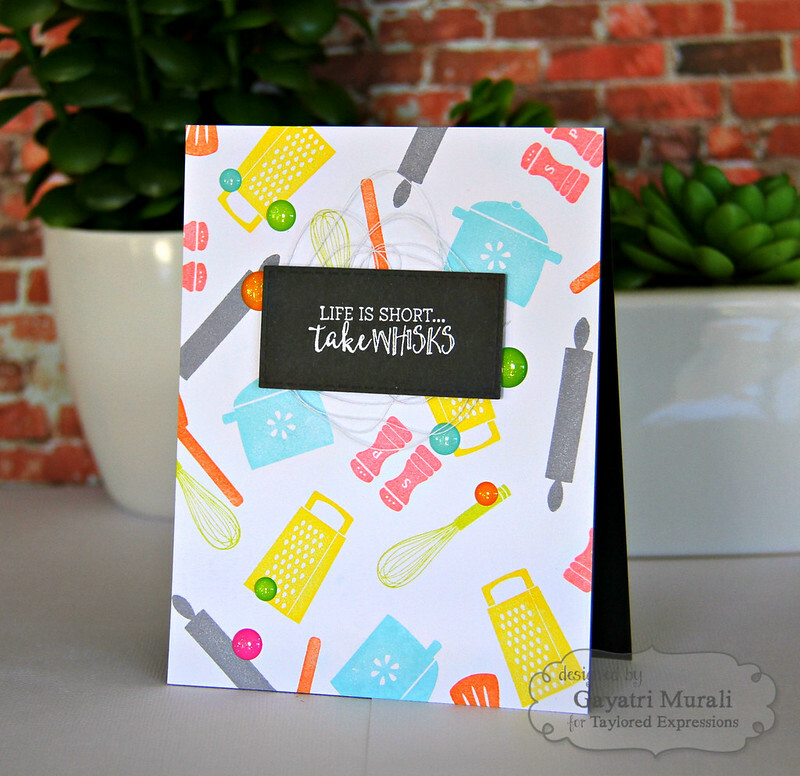 A quick post today sharing another of my card using Taylored Expressions November new release products. This card uses Flippin’ Awesome stamp set only. I stamped the background with the images from the stamp set using pigment inks on Sugar Cube card panel. I love the colour intensity and the coverage is even for solid images using pigment inks. My pigments inks were from Memento Luxe and Mama Elephant. I adhered this panel on a Oreo cardstock base from Taylored Expression. The focal sentiment panel is die cut using the same Oreo cardstock using Stitched Rectangle Stacklets. I white heat embossed the sentiment from Flippin’ Awesome stamp set. I adhered this panel with some bunched up thread on the card front. Embellished with Sparkles enamel dots from Doodlebug. Here is a closeup. If you like to see more Taylored Expressions projects using the November new release, check out Taylored Expressions Gallery. There are many cards by various designers to inspire you. This is super cute! I love the colors you used. It's such a happy card.